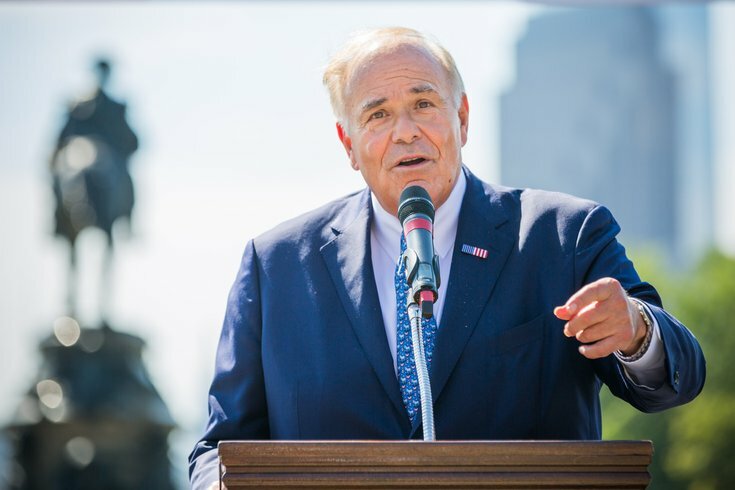 Former Governor Ed Rendell spoke to more than 1,000 students, Tuesday, on the steps of the Philadelphia Museum of Art. The last time the Philadelphia Eagles earned to a trip to the Super Bowl, Ed Rendell was still the governor of Pennsylvania, making bets with then-Massachusetts Gov. Mitt Romney that Philly would beat New England. We all know the history. Rendell had to wear a Patriots jersey at a Sixers-Celtics game and sing the national anthem in front of a Boston crowd. The rematch in Minneapolis on Feb. 4 carries a lot of significance for Rendell, whose post-game Eagles analysis has become a fixture in Philadelphia over the last two decades. In an interview Wednesday morning with The Chris Stigall Show on Talk Radio 1210 WPHT, Rendell revealed his thoughts about the Patriots history of cheating, from Spygate to Deflategate, and offered a prediction for the Super Bowl. "I want to beat the best," Rendell said. "I want revenge." In all five of the Patriots' Super Bowls, Rendell suspects New England probably cheated—even though they generally didn't have to in order to win. This time around, Rendell thinks the Eagles have the superior strength along the line of scrimmage to beat the Patriots, even without the star power of the 2004-05 team.